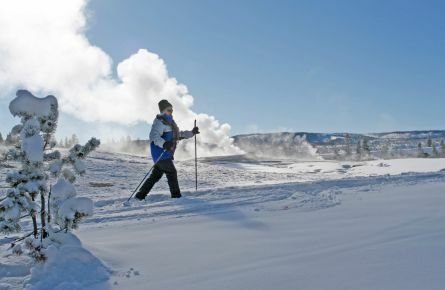 Winter in Yellowstone delivers a more intimate experience, fascinating snowy landscapes, and frosty animals. Discover our winter adventures to create a truly memorable vacation. 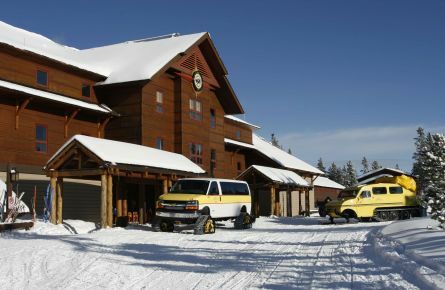 Round-trip snowcoach transportation is available daily from Mammoth to Old Faithful Snow Lodge. 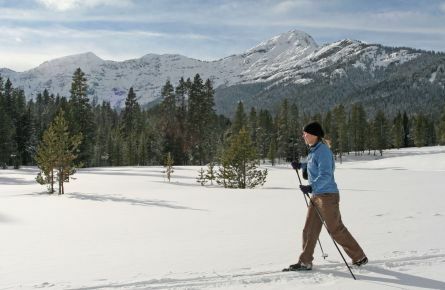 Build your own custom winter adventure through Yellowstone National Park. We now offer a daily shuttle (winter season only) from the Bozeman Airport to/from Yellowstone. You can reserve your seat(s) when making your lodging reservations by phone. More information is located here, or ask the reservations agent when you call to book your stay.